Top tip no 1# Take your time to choose the perfect destination wedding venue for you and your guests. You’ll be creating amazing memories that last a lifetime. Deciding to organize a destination wedding in South West France is choosing to give your family and friends, not just one day but many days of wonderful memories to relive and enjoy. You are not just getting married, you also become the most important guests. The organization of a destination wedding and the events associated with it, requires a unique know-how. Whether you imagine a magical and authentic setting such as a winery in the South West of France, a ceremony on Arcachon Bay or a famous fairytale castle in Bordeaux … local knowledge is invaluable. Bordeaux is a major wine capital known throughout the world and with this wealth, it offers couples from France and elsewhere an exceptional heritage and a diversity of vineyards. Each is as unique as your wedding will be. 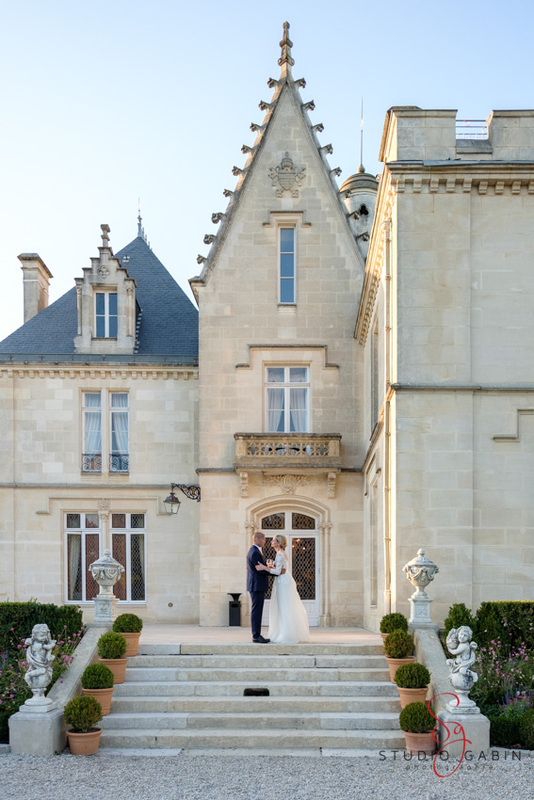 The Bordeaux region is very famous and every year more and more weddings are celebrated in the chateaux of Bordeaux. Once couples visit this beautiful part of France they not only fall in love with the area but also with the beautiful vineyards in Bordeaux, like the sumptuous Château Pape Clément. Couples rave about the authenticity of the Château and it’s exceptional setting for them and also to share with their guests. The prestige of this beautifully maintained castle, allows a high-end clientele to afford a wedding ceremony and reception of the most luxurious that exists in our region. taking place on day two. One such couple, from Ireland and Lebanon, chose Bordeaux to unite their two cultures and declare their love. They said yes in the park of Château Pape Clément with over a hundred guests. This type of wedding ceremony is the ideal, relaxed solution for couples with different backgrounds and cultures, combining a dream destination and extraordinary arrangements. However, to organise three days is a huge amount of work and particularly if you’re living hundreds of miles away and may not speak French. Here is where the expertise of a local wedding planner becomes absolutely invaluable. Once Upon A Time is an international planning agency run by me, Alexandra Habemont. 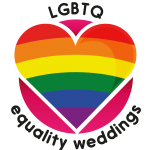 I’m an expert in creating the perfect day for you and can even help you plan that all important wedding proposal too. 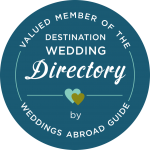 I will create the perfect setting for your destination wedding, ensuring that this experience is the journey of a lifetime for you and your guests. I can guarantee the success of your destination wedding, no matter how many days your wedding is, because I offer a full planning service and manage all arrangements with you from the moment you land at the airport until you leave. My advent gift to you is a 5% discount to readers of this blog but hurry, as dates are filling fast for 2019. The reception tables were dressed with elegant and refined floral decorations by LOY KAPEL. Whilst the amazing Studio Gabin captured the many special moments by photograph.